LARGO, Florida — In the span of about 10 minutes, jurors in the sentencing trial of convicted cop killer Marco Parilla handed down two sentences. Only one was correct. 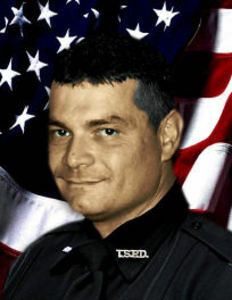 And, it isn't what family members of fallen Tarpon Springs, Florida Police Officer Charles Kondek were hoping for. The jury had supposedly unanimously decided death was the appropriate penalty, but then the judge noticed some numbers scribbled out on the forms and asked the jury to go back and confirm all 12 jurors agreed on death. Upon their return to the courtroom, the jury came back with a verdict of life in prison, as only 10 jurors voted for the death penalty and two for life in prison. The judge, explaining to Kondek's family and friends that under a new Florida law, the decision to sentence someone to death must be unanimous. The jurors made a paperwork error filling out their verdict that led to the confusion. Kondek's widow Theresa couldn't believe an error was made. "Relief, we felt like justice was served for Charlie. We waited three years for this and then to have it taken away that was a little tough," Kondek said. "It’s closure for us. Obviously, we wanted the death penalty." Kondek said this chapter of her life is over and all she wants to do is move forward and live a life that will honor her fallen husband. "No one wins. Either way, my husband will never come home," Kondek said. Parilla was convicted of murdering Officer Charles Kondek of the Tarpon Springs Police Department back in 2014. On Thursday, Parilla told the family he was ashamed of what he did and tried to apologize to the fallen officer's family. After learning Parilla would not face the death penalty, family members told him in their victim impact statements that they hoped he died in prison sooner rather than later. "You are an animal and I hope you die the worst death possible, a shiv across the neck or something," Charles Kondek, the fallen officer's father told Parilla.